The SSAA Farmer Assist program is fully operational across Queensland, South Australia, Western Australia, Tasmania, New South Wales, Australian Capital Territory and Victoria meaning both SSAA members and landholders or managers can register and use the program. 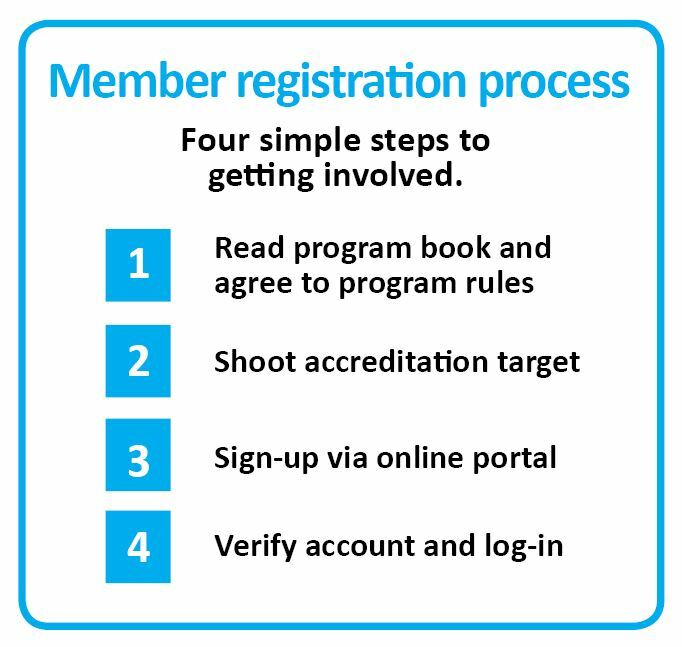 If you are an interested SSAA member from one of the above states, we invite you to begin the easy four-step process below to register for the program. Once you have done this you will then be able to apply for relevant jobs in your state when they become available. Please note there is some additional information available for SA members and WA members regarding the registration process. We anticipate that it will take time to build trust in and awareness of the program within the farming community so it’s expected that the uptake will be slow at first. We ask for your patience and understanding with this and that you only apply for jobs within your home state. We are committed to the long-term success of the program and promotion will be ongoing. Don’t forget to sign up to our Facebook page for regular updates and information about the program. 1) You must read the Complete Program Booklet and commit to obey to the program’s safety, animal welfare and ethical hunting requirements. 2) If you are not currently part of a SSAA Conservation & Wildlife Management (CWM) branch, you must then attend a SSAA range and undertake the self-guided shooting competency assessment using the approved SSAA Farmer Assist Assessment Target. 3) Once you have completed the shooting competency, you must complete the sign-up form and upload a digital copy of your assessment target complete registration. For step-by-step instructions on how to do this simply follow the Members Quick Guide. 4) To complete your registration, you must respond to the system-generated email from SSAA Farmer Assist to verify your account. This will allow you to log in to the Farmer Assist jobs page and begin investigating the jobs board and be ready to reply to jobs. Animal welfare is a very important aspect of this program. Members should familiarise themselves with the information we provide on animal welfare considerations. To assist in the delivery of best practice ground shooting activities, you should also review relevant Standard Operating Procedures (SOPs) for the target species for additional guidance. Please note that the SSAA Farmer Assist is not connected to the SSAA membership database for data security reasons. That means you will need to keep your details current by making changes to your profile information when required. This includes updating your membership expiry date once your new card arrives so the system doesn’t lock you out of your account. Registering with Hotmail type email accounts can be problematic. We have noticed that our system generated emails and alerts are sometimes blocked and not delivered by these email accounts. This means you may not receive any communications from us. We recommend using alternative email accounts. Do you have a question? We may already have the answer for you in our Frequently Asked Questions.